The smaller the curler you choose, the tighter your curl will be. 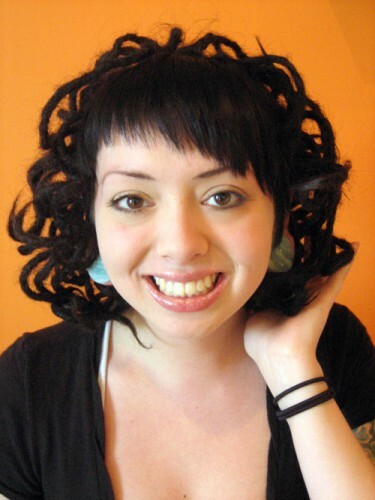 Never, EVER use Velcro rollers. In fact, stay away from anything that isn’t pretty smooth. 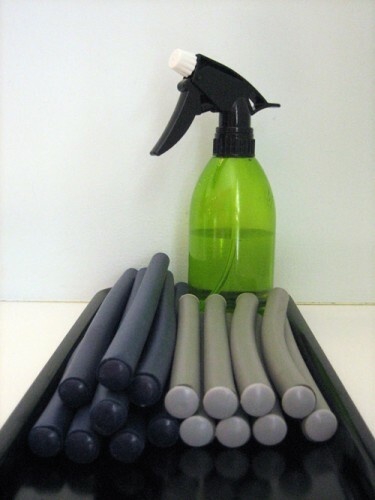 We like flexible sponge rollers, which come in many sizes and lengths and can be easily secured without pins or ties. A fine, mesh hair wrap is helpful if you plan to air-dry your hair (available at any drug store). It’ll hold your hair in place without restricting air flow. Also, you will look like a super cute 60’s housewife. No curlers? Improvise! Soda cans, rag-rolling, pin-curling, braids can all be used. Have fun experimenting! 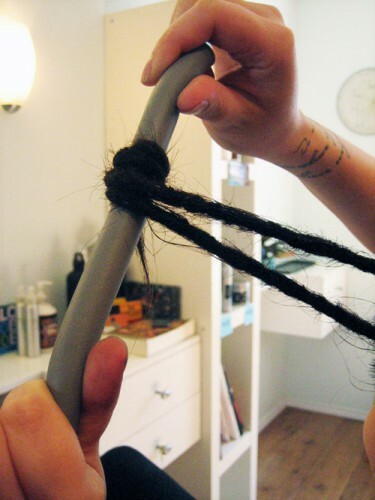 Wrap a few locks around your curler to the root (depending on what you’re using, you may only be able to fit one at a time) and secure it closed or tie in place. Continue until all your dreads are wrapped. If you’re lucky enough to own a hood dryer, have a seat until those puppies are dry, all the way through. If you don’t own a hood dryer, get thee to a garage sale! Of course, you could also wait for them to air-dry or use a hand dryer on a low setting. The weight of still-damp dreads will pull out any curl you’ve tried to achieve, so be patient! 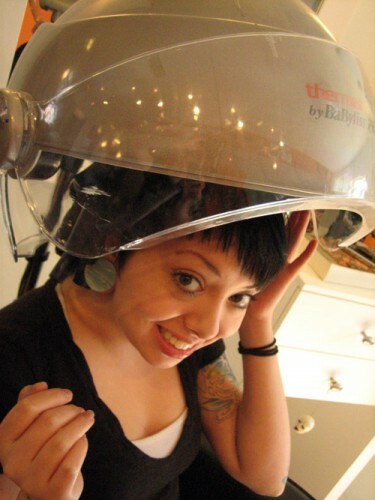 Once you’ve dried your locks, carefully unwrap your curlers and enjoy all that bouncing new texture!